Such a long history in this house since 1820! The house crossed 2 centuries in the middle of Tavers! The patriarch VILLAIN, wine grower, built the house. 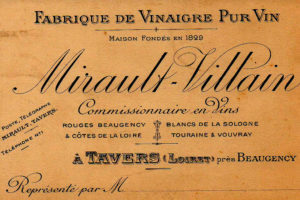 His son Villain-Tournois(mayor of Tavers, then of Beaugency) took over and develops a family trade company of local wines and vinegar (which implies the manufacturing of barrels). This is where the name of the hotel comes from : Tonnellerie = Barrel making place. Wine-making activity is very intense in Tavers and between the walls of La Tonnellerie in particular on the loading dock of barrels (where are the garden and the terrace today). At the end of the 19th century, it is the disaster for the family Villain and for so many other families of neighborhood after the local vineyards are decimated by the disease, the philloxera. 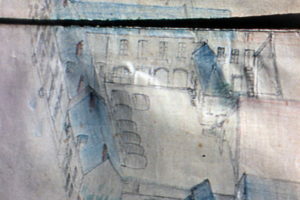 Vine activity stops suddenly in the Orléans area and presence of a trader and a cooperage in Tavers is not necessary anymore. The house is then sold. The main part of the property is hired as appartements. 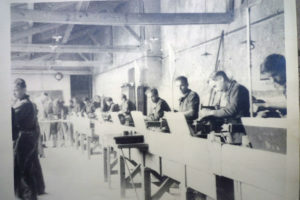 From the beginning of the war, the house is requisitioned by the Vichy gouvernment to instal an apprentice school for metal work (this was replacing the military service forbidden by Germans). That school will stay in place even after the war until the end of the 50’s. The house is again rented as appartments. The hotel « La Tonnellerie » is created with heavy building tranformation works. Hélène et François Thévard take over the hotel after 10 years owners of the Auberge de Launay next to Amboise. 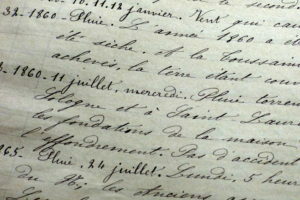 They have a lot of pleasure to make historical researchs to find more historic traces on this property, mainly in the Departemental archives in Orléans. Then they very much like sharing all their founds with the interested visitors.